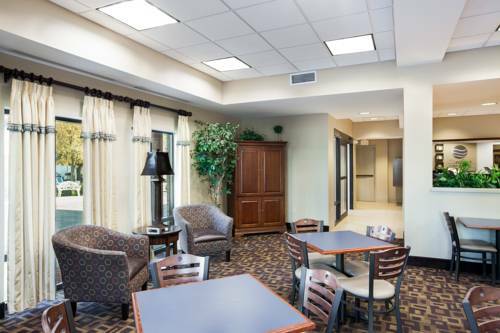 Get rested and ready for anything at the Comfort Inn and Suites Airport hotel in San Antonio, TX near the San Antonio International Airport. Our hotel is close to Interstate 410 and Highway 281 and near Historic Alamo Landmark and Museum, San Antonio River Walk, Six Flags Fiesta Texas Theme Park and more. Business travelers appreciate our meeting space for up to 60 individuals. Additional amenities include a free airport shuttle, free breakfast, free WiFi, and outdoor pool and more. Spacious guest rooms include a refrigerator, microwave, iron, ironing board, hair dryer, coffee maker and TV. Also, earn rewards including free nights and gift cards with our Choice Privileges Rewards program. A $100 USD credit card authorization or cash deposit is required upon check in for incidentals. Pet Accommodation: 25.00 USD per night per pet up to 25 pounds. Maximum of two pets per room.